This was a rly good story. I enjoyed the chemistry b/t the 2 leads. I loved how the story b/t the leads drew me into their lives. I loved how Dal Ja was so innocent at her age. Most ppl @ that age r so jaded & resentful that it is hard to see what is positive in life for them. 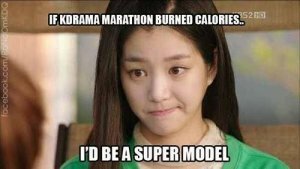 Just like her friend Wee Seon Joo. I personally believe that we should consider ourselves w/e age we feel we r despite how many yrs we have been alive. I rly think that when u watch this drama you will connect w/ it in some way b/c so many things happen that r real. Enjoy!